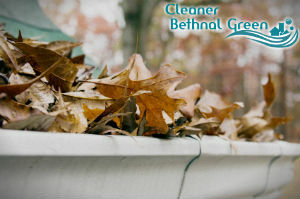 Let our professional gardeners come and clean your gutters for you. Do not wait until it is too late and your drainage system is already clogged. Our company is offering you to hire our professional gutter cleaning service to help prevent any serious problems to your drainage system and your home. Even if you do not see leaves or sticks coming out of your gutters that does not mean that they are clean, book our gutter cleaning service for regular maintenance and you will have a peace of mind that your gutters are being cleaned and inspected on a regular basis and that your home is safe from floods and other problems. Our company operates in the entire Bethnal Green. Our gutter cleaning service is performed by a team of skilled and trained professional gardeners, who use the best professional tools and equipment. Our gardeners are very detail-oriented and they are trained to work to the high standard of our company. You can rely on them and on us for perfect results from our gutter cleaning service. Our gardeners are extremely savvy and knowledgeable in gutter cleaning, they have been trained to clean and check their work before they leave. And they will also dispose of the debris that they have removed from your gutters. How they will work is that they will use a gutter-safe ladder to reach the lower gutters and downpipes, to efficiently and safely clean all leaves, twigs and debris from them. Then, if you have higher gutters and downpipes, they will use professional vacuum machines, that are attached to telescopic poles to clean the gutters safely from the ground. No scaffolding will be required for our gutter cleaning service. 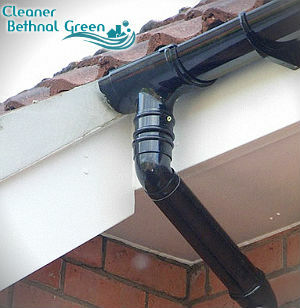 Our gutter cleaning service is the best one in Bethnal Green, E2 and we can assure you that we will thoroughly clean your drainage system and will make it ready for the next rain. Our service is available all year long, you can book us for regular maintenance.